SSM207 Features: -Material: 3/16 Glass and metal.-Double coated silver backing with seamed edges.-Unique shape with 0.5" bevel all around.-Hangs vertically and horizontally.-Great for bathrooms, hallway, living room or bedroom. Includes: -Mounting hardware included. 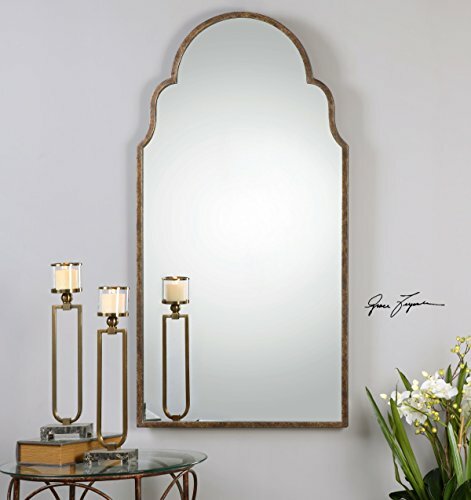 This stunning mirror gives a traditional arch shape a fabulous upgrade. It is gracefully shaped, and its striking but understated look will blend with almost any decor. Its thin metal frame is finished in oxidized silver champagne. Use it over a mantle or console table, or in a bath or powder room over a vanity. 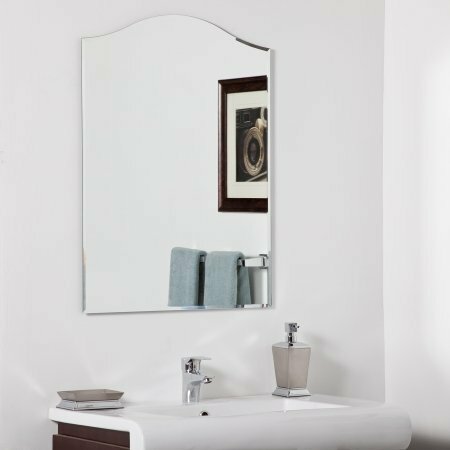 This stunning Curved Venetian mirror has a beautiful arched shape. 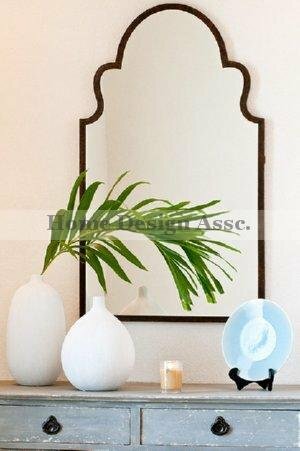 An inner and outer frame of silver leaf beautifully accent the shaped mirror glass. It has a romantic yet contemporary look for the ultimate in glamour and style. Use it in a bath or powder room, or in a hall or foyer to add light and space. It is an heirloom quality piece, as well made as the antiques which inspired it. It has a state of the art back coating to prevent oxidation and discoloration. Properly weighted hanging hardware included. 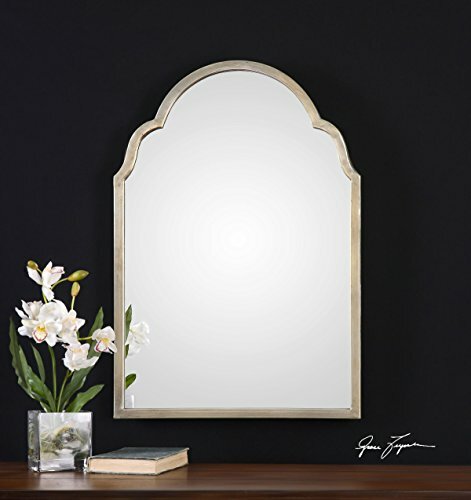 This stunning mirror gives a traditional arch shape a fabulous upgrade. It is gracefully shaped, and its striking but understated look will blend with almost any decor. Its thin metal frame is finished in plated antiqued gold. Use it over a mantle or console table, or in a bath or powder room over a vanity. 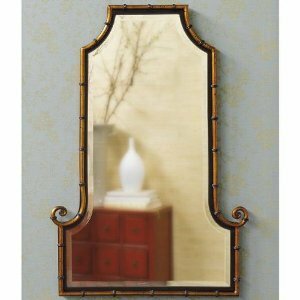 This Shapely, Beveled Mirror Features A Narrow Frame Finished In Lightly Distressed Bronze With Burnished Details. Mirror Has A Generous 1 1/4" Bevel. 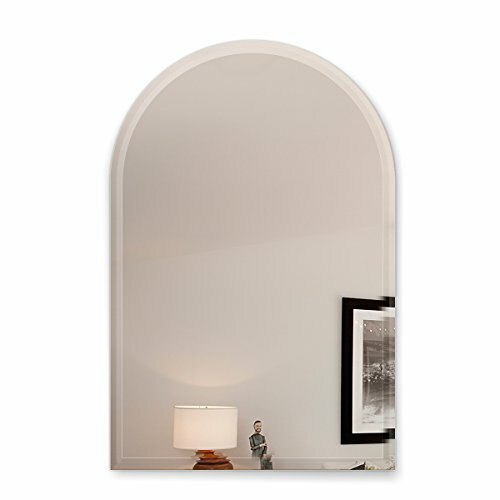 This stunning mirror gives a traditional arch shape a fabulous upgrade. It is gracefully shaped, and its striking but understated look will blend with almost any decor. Its thin metal frame is finished in lightly textured, dark brown with burnished edges and gold highlights. Use it over a mantle or console table, or in a bath or powder room over a vanity. It has a state of the art back coating to prevent oxidation and discoloration. Properly weighted hanging hardware is attached. 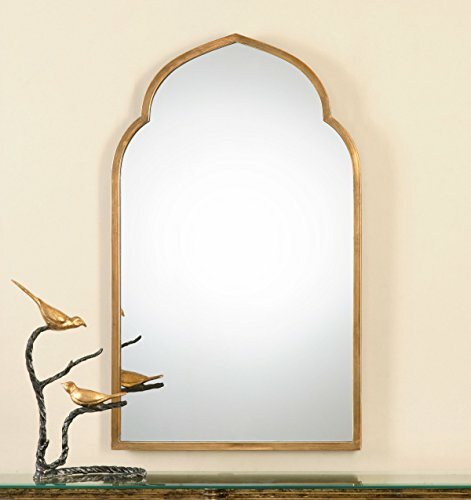 This stunning mirror gives a traditional arch shape a fabulous upgrade. It is gracefully shaped, and its striking but understated look will blend with almost any decor. Its thin metal frame is finished in lightly textured rust bronzewith burnished edges and gold highlights. 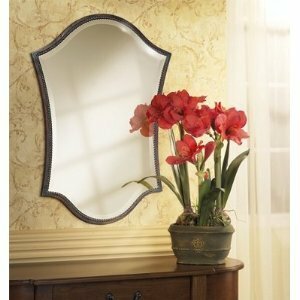 Use it over a mantle or console table, or in a bath or powder room over a vanity. 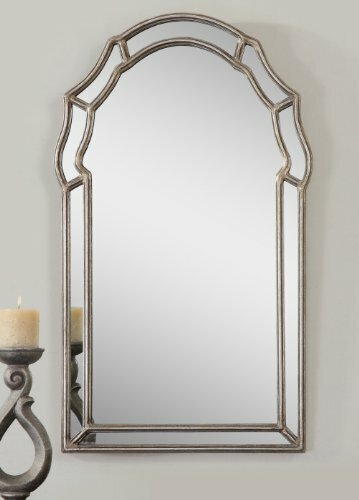 Add the elegance of the Far East to your home with this gorgeous mirror. Its design is the fusion of classic and contemporary, with soothing lines and curling tendrils of antiqued gold iron rod with matte black inner lip. Black iron bands accent the frame for a bamboo look, and the mirror glass is beveled for added depth. Use it over a mantle, or as a stunning accent in a hall or entry. It has a state of the art back coating to prevent oxidation and discoloration. Properly weighted hanging hardware is attached. 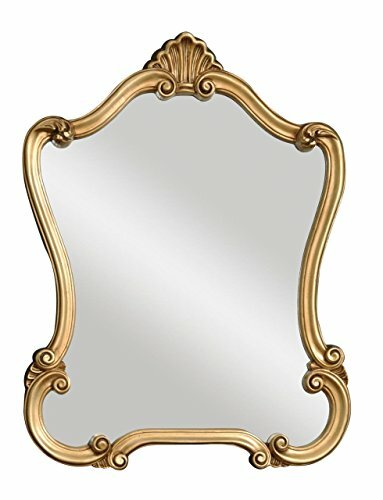 Copyright © Wholesalion.com 2019 - The Best Prices On Arch Shaped Mirror Online.